At the time of the Whitechapel murders, the Chief Commissioner of the Metropolitan Police was Sir Charles Warren, who had succeeded Edmund Henderson in the position in 1886. As a military officer of some standing, Warren was keen to run the Metropolitan Police on strict principles, but very soon his tough approach would lead him into hot water. He was criticised for his heavy handling of a number of public disturbances, culminating in the famous ‘Bloody Sunday’ of 13th November 1887, when large demonstrations by the unemployed prompted the deployment of troops by Warren. This resulted in scenes of violence at Trafalgar Square, with many injuries and one death. It was an incident from which his reputation never recovered. During the Jack the Ripper murders, Warren often became a punch-bag for unhappy commentators, journalists and cartoonists whenever they needed a scapegoat to explain the police’s inability to catch the murderer. Many of these criticisms were unfounded and Warren, as a liberal, often found himself at loggerheads with the Conservative Home Secretary, Henry Matthews. Indeed, he felt that his endeavours to improve the investigation into the Whitechapel crimes was being hindered by Matthews. He was also criticised for his handling of the Goulston Street Graffito and his decision to erase it to avoid possible civil unrest against the Jews in the East End. It seems that whatever Charles Warren did, he could never win. As such, Warren would attempt to resign his position on several occasions but was turned down each time. His frustration with the powers-that-be reaching a critical stage, he went on to publish an angry article in Murray’s Magazine criticising his detractors and bemoaning his lack of control of the CID. Such an act was not permitted without prior permission from the Home Office, although Warren claimed not to know of this ruling, stating that if he had known that it existed, he would never have taken on the job. He was officially reprimanded by the Home Office, and again tended his resignation, which on this occasion (his fourth) was accepted. His successor would be James Monro, the former head of CID who had resigned shortly after Warren’s appointment as the two did not get on professionally. It is a common misconception that, because news of Warren’s resignation came on the day of Mary Kelly’s murder on 9th November 1888, he resigned as a result of the murder, seen as the final nail in his professional coffin. However, the acceptance came the day before and was merely the result of a whole swathe of reasons, for which the continued freedom of Jack the Ripper could not have helped. 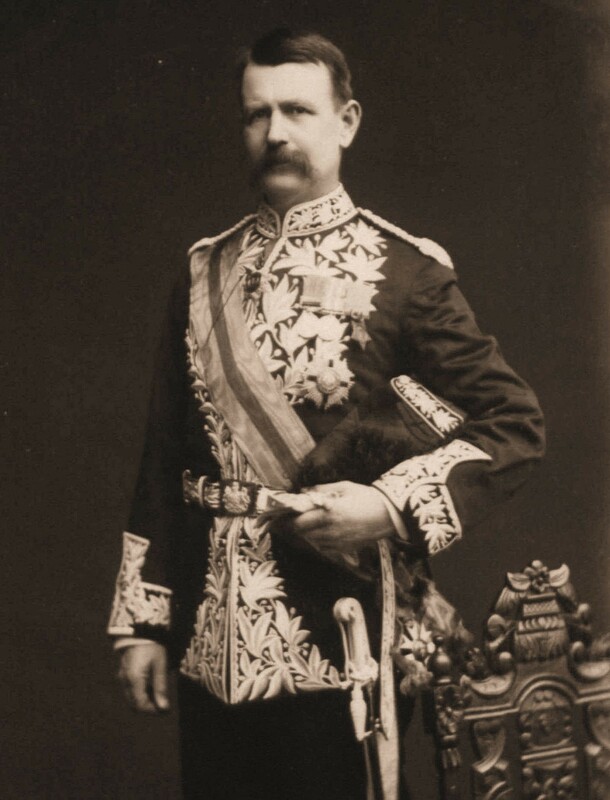 Warren resumed his military career but no longer had the success of his previous endeavours and was removed from the field in 1900 after some disastrous tactical decisions made during the Boer War. He would later go on to play a key role in the Boy Scout movement and wrote a number of books on Biblical archaeology. He died in 1927 in Weston-Super-Mare, aged 86.